A hardworking Penrith woman and her family are happily planning a cruise together to celebrate their million-dollar Lotto windfall. The family syndicate was one of the three division one winners in last night’s Monday & Wednesday Lotto draw 3710. Each takes home the guaranteed division one prize of $1 million. Speaking to a NSW Lotteries official this morning to confirm her win, the syndicate leader described the moment she discovered the win. “I was just watching television last night and I was flicking between stations and the Lotto numbers popped up. I thought they’re my numbers and so I went online to check!” she said. The happy woman said she quickly phoned family members phoned to share the winning news. “We’re a very close family. We’ve decided with what we’re going to do with most of it already!” she laughed. The winning marked 14-game entry was purchased from Westfield Penrith. Lal’s Nextra owner Shiu Lal said the outlet was celebrating selling another winning entry to their customers. “We sold a Lucky Lotteries Super Jackpot 1st Prize winning entry earlier this year and now a division one,” Shiu said. The winning numbers in Monday & Wednesday Lotto draw 3710 were 7, 17, 22, 10, 3 and 33. The supplementary numbers were 40 and 4. 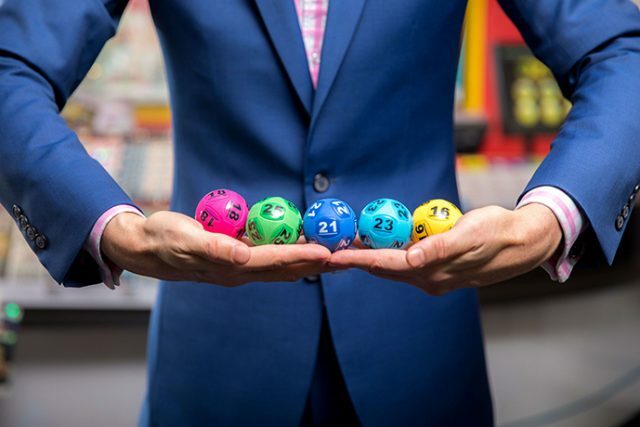 Across Australia there were three division one winning entries in Monday & Wednesday Lotto draw 3710 – one in New South Wales, one in the ACT and one in South Australia. Last financial year, there were 82 division one winning Monday & Wednesday Lotto entries across the Lott’s jurisdictions, which collectively won more than $80 million. The Lott’s division one winning entry tally has now reached 355 so far this calendar year, including 107 won by NSW Lotteries customers.